Cut down on foods and drinks that have high energy content and low in nutrients, such as soda, candy and snacks. With different advice in the media there can be difficult to know what to eat to be healthy. See here what the Directorate of Health recommends. Healthy everyday and a varied diet provides a good basis for good health, and helps ensure that you're getting the nutrients you need. Have a varied diet with plenty of vegetables, fruits and berries, whole grain products and fish, and limited amounts of processed meats, red meat, salt and sugar. Choose foods with limited amounts of saturated fat, sugar and salt. Look for keyhole mark when shopping. It makes it easier to put together a healthy, varied and good diet. Have a good balance between how much energy you ingest through food and drink, and how much you consume through activity. By maintaining normal weight also reduces the risk of health problems. If you want to lose weight, it is particularly important that you focus on what and how much you eat in relation to how physically active you are. Limit your intake of foods and drinks that have high energy content and low in nutrients, such as soda, candy and snacks. Regular physical activity helps to maintain the body's energy balance. Eat at least five servings of vegetables, fruits and berries every day. Let vegetables and fruits be included in every meal. Go exploring in the fruit and vegetable department. Taste and experiments, and select different colors. One serving equals 100 grams, and can for example be a small bowl of salad, a carrot or a medium-sized fruit. You can use fresh, canned, frozen, and heat-treated vegetables, fruits and berries. The possibilities are many. Half of the "five a day" should be vegetables. Vary between different types of vegetables and fruits. Feel free to use tomatoes, onions, leeks and garlic. Potatoes are not included in the "five a day" but belong to a varied diet. Potatoes contain more dietary fiber, vitamins and minerals than ordinary rice and pasta. You should always choose boiled or baked potatoes. Pulses such as beans and lentils, seeds, spices and herbs are also not included in the "five a day." These often have a high content of nutrients and belong in a varied diet. 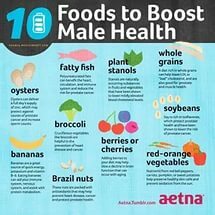 Eat also like a small handful of unsalted nuts a day. Eat whole grain products each day. For many Norwegians, wholemeal bread a natural part of everyday life. It's good because coarse grains are healthier than fine grains. Select cereal products with high fiber content and whole grain and a low content of fat, sugar and salt. Use Keyhole and Bread scale which aids. The coarse grain products should together provide 70-90 grams of wholemeal flour or whole grain per day. four slices of bread with a large proportion of wholemeal flour, for example, labeled extra coarse in Bread scale. one platter rough cereal and two slices extra wholemeal bread. one dish grits and one portion wholemeal pasta or fullkornsris. Read more about whole grain products here ! Eat fish for dinner two to three times a week. Use also like fish toppings such as smoked salmon or mackerel in tomato sauce. Fish is a wonderful commodity that can be used much. Experiment with new ways to prepare and serve fish on. Council corresponds to total 300-450 grams of pure fish a week. At least 200 grams should be oily fish like salmon, trout, mackerel or herring. Six orders servings of fish equals about one dinner portion. Select gladly fish products labeled with the keyhole. Choose lean meats and low-fat meat products. Limit the amount of processed meat and red meat. It is wise to think about what kind of meat you choose, how much and how often you eat it. Pure ingredients is a better choice than processed meat. salted or preserved with nitrate or nitrite, such as bacon or sausage. Limit the amount of red meat and processed products of red meat to 500 grams per week. This is equivalent to two to three dinners and some meats. Red meat is meat from pigs, cattle, sheep and goats. Choose preferably keyhole labeled meat and meat products. Leave low-fat dairy products can be a part of the daily diet. Milk and cheese are part of everyday food for many, which is good. Remember that it is wise to choose the low-fat dairy products every day. Limit the use of dairy products high in saturated fats, such as whole milk, cream, fatty cheese and butter. Choose dairy products with low fat, salt and little added sugar. Preferably choose dairy products labeled with the keyhole. Select edible oils, liquid margarine and soft margarine, rather than hard margarine and butter. It is important to ensure a good fatty acid composition of the diet. Replace saturated fats with more favorable unsaturated fatty acids. A rule of thumb is that the softer the margarine and butter are at refrigerator temperature, the more unsaturated fats they contain. Choose foods with little salt, and limit the use of salt in cooking and on food. Want to put more taste of the food you make? Use spices and herbs to provide food personal taste without adding extra salt. Processed foods contribute an average of 70-80 percent of salt intake. Therefore, choose foods and ready meals with low salinity. Look for Keyhole labeled foods and dishes when shopping. Avoid foods and drinks with lots of sugar everyday. Soda, juice and sweets are the biggest sources of added sugar in the diet. They add a lot of sugar and energy but low in vitamins and minerals. Choose water as a thirst quencher. Water is required to maintain normal body functions. Plain water covers fluid needs without contributing with unnecessary calories, and therefore is the best drink when you are thirsty. Youth should be physically active at least 60 minutes each day. The activity should be of high or moderate intensity. At least three times a week should activities with high intensity for increased muscle strength and strengthens bones included. Physical activity beyond 60 minutes provide additional health benefits. The activities should be as versatile as possible to ensure optimal development of physical fitness, including the influence physiological traits and qualities that condition, muscle strength, flexibility, speed, movement, reaction time and coordination. Varied physical activity provides an opportunity to develop both fine and gross motor skills. Regular physical activity has also positive effects on mental health, concentration and learning. I eat healthy foods and stay away from candy and other sweets. Think I'll start following these tips so that I will be even healthier.